"Silent Night," one of the most famous songs of the Christmas season, is being celebrated as it approaches its 200th anniversary. 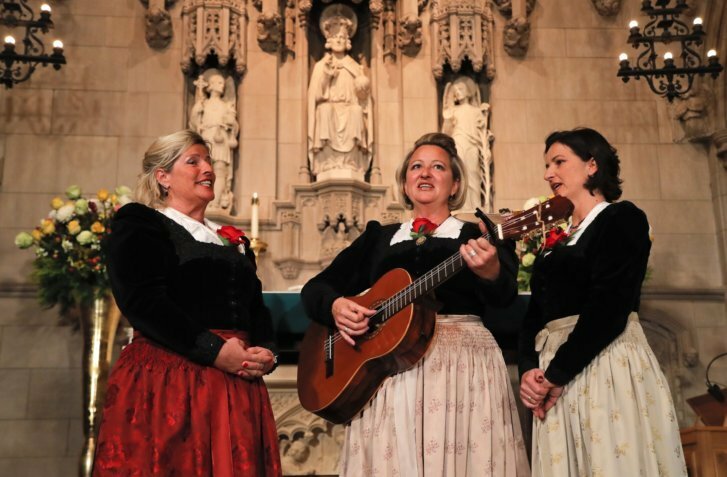 NEW YORK (AP) — One of the most famous songs of Christmas was celebrated Tuesday as it approaches its 200th anniversary, with a concert at the New York City church where “Silent Night” is believed to have been sung in the United States for the first time and where a priest was the first to publish an English translation of the Austrian carol. The performance of the carol by Austria’s Kroll Family Singers and ensembles from Trinity Church took place at the Alexander Hamilton memorial in the Trinity churchyard. The singers stood in front of the memorial in the darkened yard as onlookers gathered and horns from passing cars beeped on nearby streets.